John Carpenter's Snake Plissken Chronicles » John Carpenter's Snake Plissken Chronicles #1 released by Crossgen on January 1, 2002. Snake Is Back! And he's kicking some major @$$! After his little trouble in the Big Apple, and a full presidential pardon, Snake Plissken is ready for some real action. He finds some in Atlantic City, in what can only be described as the ultimate car boost. A car worth 30 million dollars! Chaos is the play of the day, a double cross is always just around the corner, and everyone will soon learn... you never turn your back on a snake. 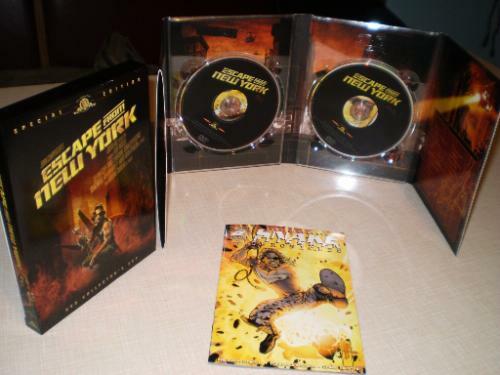 Reprinted in a small promo sized comic, included in the Escape from New York Special Edition DVD release.